It was the spring of 2013. Life was pretty good for the Rovente family. Anthony and Crystal Rovente owned a small farm outside of Binghamton, NY, where they were raising four boys and thirty sheep. They liked their community, and Anthony loved his teaching job at the local school, where he’d been teaching for ten years. Then the school district went bankrupt. Anthony lost his job. And just like that, the rug was pulled out from under the Roventes’ feet. Once you meet Anthony and Crystal, you quickly appreciate the positive attitude that drives them. Anthony immediately focused on the amazing opportunity in front of him and his family: the chance to create the type of life that he and Crystal had always dreamed about. They had three criteria for such a life: 1. to live in a rural community; 2. to be near salt water; and, 3. to live on an island (which would likely take care of number 2). So how did the Roventes start seeking out that life? They opened Google Maps, of course. The criteria above ruled out many East Coast communities, so they scrolled west. As they hovered over the Pacific Northwest, a little archipelago in the Salish Sea jumped out at them. Saltwater? Check. Island? Check. Google’s satellite images showed a bunch of farms. Check. Entering “school districts” into the search bar yielded a red pin on the map. 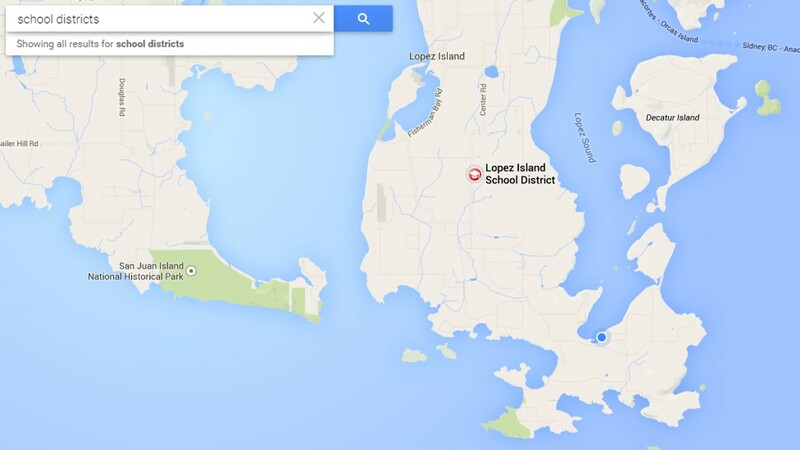 Which led to the Lopez Island School web site. Which led to a job posting for a part-time social studies teacher on Lopez. You can’t make this stuff up. Neither Anthony nor Crystal had ever been to the West Coast, let alone heard of the San Juan Islands; but they liked where this was headed, so Anthony sent in his resume with a picture of his family clipped to it. The next week, he got a call from Lopez School, asking if he’d be interested in doing a phone interview. Anthony said no, but he would be interested in flying to Lopez so he could do an interview in person. He needed this job. They needed this life. Anthony and Crystal flew to Lopez. They both fell in love with the island immediately, and Anthony of course got the part-time social studies job. The school’s only concern was whether he was for real. I mean, who’d be willing to move his family across the country for a part-time job? What Lopez School didn’t realize was that this wasn’t just about a guy taking a job. This was about a family fulfilling a dream. So, Anthony and Crystal decided to sell their sheep farm in New York State and move their family to Lopez Island. They literally bet the farm on Lopez. Upon arrival, the Roventes were greeted with compassion by the Lopez community. Instead of rent, the Roventes’ landlord asked for them to put a new roof on the Shoal Bay house into which they moved. Crystal got a receptionist job at the Lopez Island Medical Clinic, which soon evolved into the clinic manager job. What started as a part-time job for Anthony at the high school became a full-time teacher position before the school year even started. 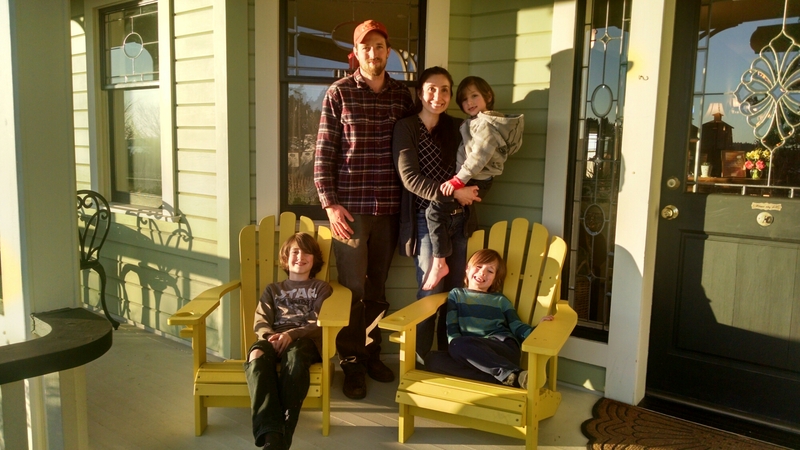 The Roventes quickly made friends – among them, Nick and Sara Jones (another 4-kid, lots-of-sheep family), who had gone to the same college back East as Anthony and Crystal. Fate was clearly hard at work, and the pieces of the Roventes’ dream were falling into place. There remained one more piece to that puzzle. While all these changes were taking place for the Rovente family, other changes were afoot on Lopez. 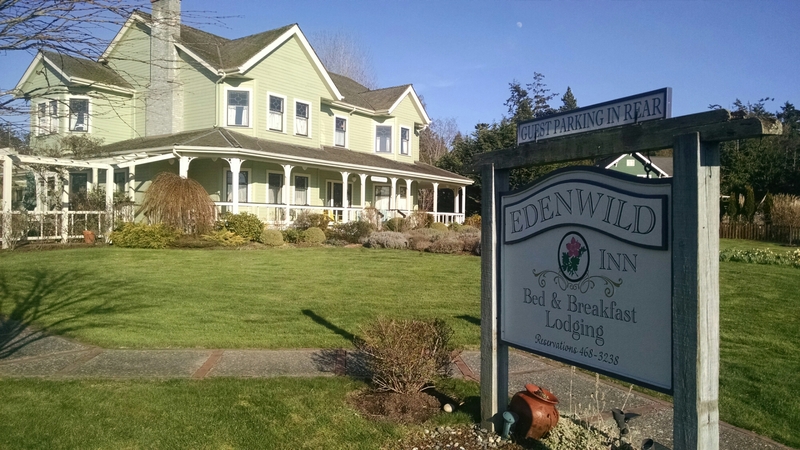 The Edenwild, the picturesque boutique inn that had become a major landmark in the center of Lopez Village, was up for sale. As it turns out, there was one more criterion for the Roventes’ dream life: owning a family business. Despite limited experience in the hospitality industry (but more than enough can-do attitude to offset that), Anthony and Crystal decided to buy The Edenwild in early 2015. They took possession less than a month ago and are already up and running. Because they both love what they do, they’ll keep their day jobs. It’s commonly said that everybody on Lopez has at least two jobs. Anthony and Crystal are therefore fitting right in. They’ll bring on additional help as necessary. Which is where their four boys come into the picture. Nine-year-old Noah Rovente buses the Edenwild breakfast table for tips. When tourist season arrives, I’m sure he’ll be joined by Gus, Walter and eventually little Victor Rovente. Though they have big plans for The Edenwild, Anthony and Crystal are wisely proceeding with caution as they learn the ropes. They’ll keep what works and gradually change things to make the place their own. The first thing they did was have Chris and Krista Stovall create a new web site, which does a good job of showing what makes The Edenwild a great option for Lopez visitors. For starters, unlike a lot of bed and breakfasts (the Roventes prefer “boutique inn,” by the way), each room at The Edenwild has its own bathroom. They also keep the rooms stocked with full bottles of sherry. The Roventes’ biggest priority for The Edenwild is to better connect it to the Lopez community. They plan to make the property more inviting to people walking by, and eventually they’ll start hosting community events there. They’ll also be gradually redecorating – bringing in more local art, for starters. Longer term, Anthony and Crystal want to explore how they can provide a venue for local farmers. I wouldn’t be surprised if they started some kind of farm-to-table restaurant offering at The Edenwild – if they can find the right chef to help them out. There are no shortage of opportunities, and I’m sure the Roventes will capitalize on all of them in short order. If you haven’t met the Roventes, or if you haven’t been inside The Edenwild, you should stop by. You’ll find the entire family lovely and welcoming, as my family has. And, if you haven’t been to Lopez, or if you plan on returning, give The Edenwild a try. I really enjoy stories like this. It makes life an exciting period in everyone’s life. Welcome to the island! We look forward to meeting you! One of the best meals I’ve had anywhere in early August, 2015 was at Edenwild. Fresh ingredients made every dish delightful. When will you add your menu to the website? Wishing you continued success and a happy life on Lopez!